Beny Montgomery, Other, M, S, B, 17, Working On Farm, GA/GA/GA. George W. Culpepper, Father, M, Dec 1808, 91, Wid, SC/SC/SC. + James Daniel Culpepper, 26 Mar 1834 – 1 Nov 1903, Pvt., Co. B, 1st GA Cav. + Fereba L. Culpepper, 30 Oct 1836 – 11 Jul 1915. Photographed* say 1895� He was photographed say 1895 at Meriwether Co., Georgia. 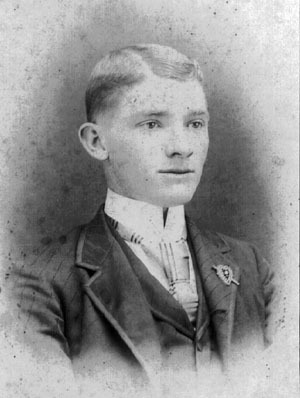 + Enoch Marvin Culpepper, 21 Aug 1874 – 17 Apr 1923. J. H. Farmer, Boarder, M, Jun 1849, 50, Wid, GA/GA/GA. Meriwether County Court of the Ordinary, Meriwether Co., GA Marriages, 1886-1902, Salt Lake City, UT: Genealogical Society of Utah , 1963, Repository: LDS Family History Library - Salt Lake City, Call No. US/CAN Film # 327,665. 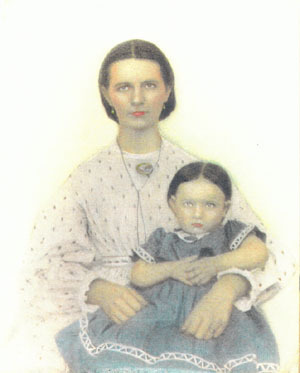 E. M. Culpepper and Miss Lucy Stephens on 25 Dec 1895 in Meriwether Co., GA, Book G-143. Lucy Culpepper, Wife, M1, md-14 yrs, ch 0-0, GA GA GA.
[This is possibly Ernest Moses Culpepper, ID: 4609, and his wife Lucille, but where are the children?]v. E. M. Culpepper, Navarro Co., Apr 17 1923, 13149. Emmett K. Culpepper and Leona Miller, W, 25 Nov 1909, Fulton Co., GA, Book Q-81. Leona Culpepper, Wife, F, 21, md1-0 yrs, GA/GA/GA. + Leona M. Culpepper, 28 Nov 1889 – 9 Nov 1968 (sic). Photographed circa 1862� She appeared as a daughter in a family photograph circa 1862 at Franklin, Heard Co., Georgia. Lina Culpepper and George Roberts on 1 Dec 1879 in Carroll Co., GA, Book E-147. Olie Culpepper and John D. Orean on 1 May 1880 in Carroll Co., GA, Book E-254. + Martha Henrietta Almon Culpepper, 23 Apr 1842 – 23 Jan 1919. 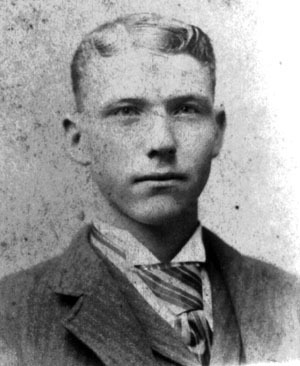 Noah S. Culpepper, d. 25 Apr 1929 in DeKalb Co., GA, 15255-K. Correspondence from Eugene Hart Felder to Lew Griffin, say 1997. Jessie Culpepper, Dau, F, S, 4, --- , GA/GA/GA. George Culpepper, Other, M, S, 12, Laborer, GA/GA/GA. George W. Culpepper and Emma McCutcheon, W, 14 Sep 1892, Fulton Co., GA, Book G-785. birthdate can be estimated at abt 1877. Henrietta F. Culpepper and Thomas Carroll Burford, W, 21 Dec 1905, Fulton Co., GA, Book N-196. Biography* � Thomas was secretary and treasurer, and later vice-president, of Randall Brothers, a lumber and coal business in Atlanta. Kate Culpepper and T. T. Rawls, W, 26 Jun 1907, Fulton Co., GA, Book O-235. + Kate Culpepper Rawls, died 8 Jul 1948. Rhonda Hall, e-mail address, as found on Rootsweb's WorldConnect Project. Photographed* say 1896� She was photographed say 1896 at Atlanta, Fulton Co., Georgia. 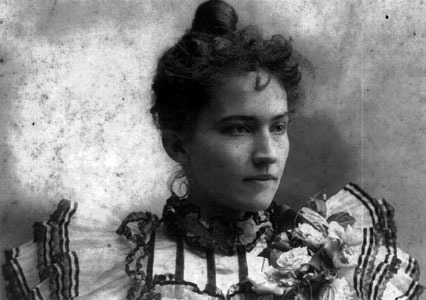 + Claudia Culpepper, 11 Oct 1874 – 10 May 1901. 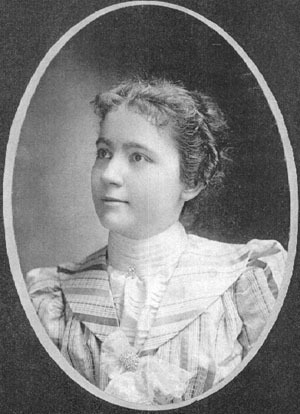 + Jessie Culpepper, 1876 – 1882. 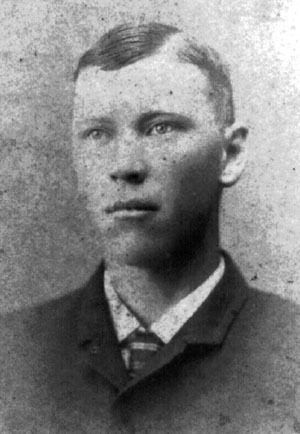 Biography* � Although the obituary notice gives James W. Culpepper's date of birth as 12 Aug 1870 and the 1900 census notes the birth in August 1870, his brother, Thomas J. Culpepper, in a 3 Aug 1969 report, gives James W. Culpepper's date of birth as 18 Aug 1869 and he was noted in the 1870 census as nine months old. 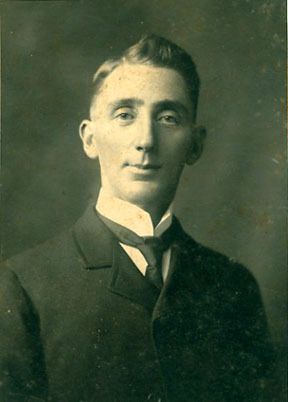 James W. Culpepper was a solicitor at the City Court of Fayetteville, GA from 18 Jun 1905 to 20 Dec 1906. 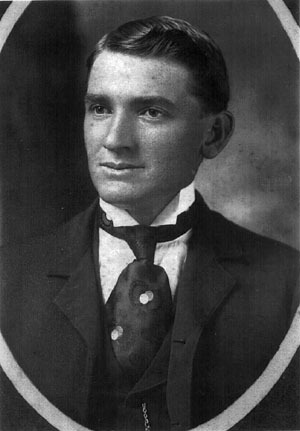 He also represented Fayette County in the Georgia House of Representatives from 1919/20 through 1946. Mrs. Eleanor Culpepper Willingham wrote the following: Uncle Wes, as I have said, was a lawyer. His daughter, Mae, lost a bedspread at the laundry. They would not pay her for it so she asked her dad to write them a letter about it. He, at first, refused to deal with such a petty thing, but finally said "Well, Mae, I will write the letter for you. It's true I am a lawyer, but I am not a "bed-spread lawyer." The following obituary appeared in The Atlanta Constitution on Monday, 11 Oct 1954: Fayette's J. W. Culpepper, Legislator, Dies at 84 James Wesley Culpepper, 84-year-old prominent Fayetteville attorney who probably set a record for continuous service in the Georgia Legislature, died in an Atlanta hospital at 4:30 a.m. Sunday. Known affectionately by friends and political opponents as "The Fox From Fayette," Mr. Culpepper was as effective in scuttling legislation he considered to be bad for the people as he was in passing bills which he considered to be in the best interest of Georgians. He served 28 years continuously as representative from near-by Fayette County before he voluntarily retired in 1945. He was floor leader during the administrations of the late Gov. Eugene Talmadge. Over the years, Mr. Culpepper headed all the important committees of the House -- including the Ways and Means, the Appropriations, and the Constitutional Amendment Committees. MANY KEY BILLS The Veteran legislator's last contribution to the General Assembly and the State was his help in rewriting the state Constitution in 1945. He was a member of the committee to revise the Constitution, as well as chairman of the House Constitutional Amendments Committee. 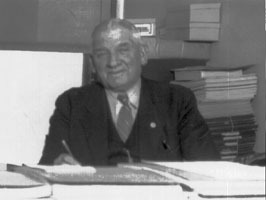 During his tenure from 1918 through 1943, Mr. Culpepper was author of many important pieces of legislation. Well-known throughout this section as an attorney, Mr. Culpepper had practiced law for 50 years in Fayette County. He taught school for 15 years. SERVED AS MAYOR In addition to being a legislator, Mr. Culpepper served a term as mayor of Fayetteville in 1906, and solicitor of the City Court the previous year. 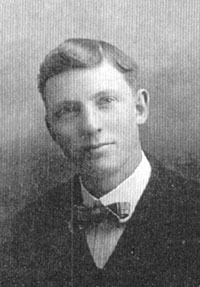 Born Aug. 12, 1870, in Meriwether County, Mr. Culpepper attended the University of Nashville, and was admitted to the Bar in 1905. He was a Lutheran, a Democrat, Mason, Knight Templar and an Odd Fellow. Surviving Mr. Culpepper are four daughters, Mrs. B. D. Murphy, Mrs. W. E. Greer and Miss Mae Culpepper, all of Fayetteville, and Mrs. A. M. Bowen of Newnan; a sister, Mrs. D. O. Phillips of Atlanta; brother, T. J. Culpepper of Atlanta, and a number of grandchildren and great-grandchildren. Funeral services will be held at the Fayetteville Methodist Church 4 p.m. Monday. Representatives, boss of all the important committees, floor leader for Gene Talmadge. opposition, Gov. Arnall drove to Fayetteville. At the time, Fayette County had only 7 1/2 miles of paved road, from the Courthouse Square to Jonesboro. Coweta County, Georgia Marriages 1827-1979, Newan, GA, Newnan-Coweta, Historical, Society. but the certificate states that the actual marriage took place in Atlanta, and that the Pastor of the Central Presbyterian Church in Atlanta performed the ceremony. 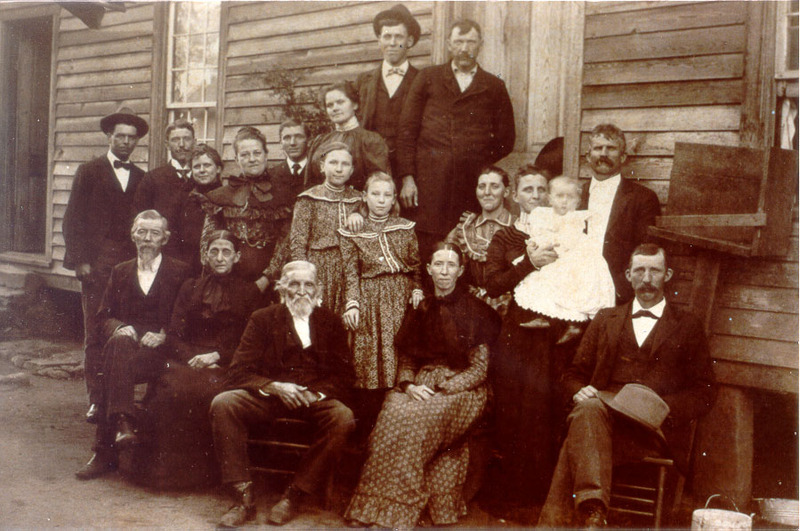 J. W. Culpepper and Sallie Taylor on 03 Dec 1892 in Coweta Co., GA. Biography* � The following appeared on p. 16 of The Atlanta Constitution Tuesday, 2 Nov 1948, just a week before the death of Mrs. J. W. Culpepper: Tribute Is Paid Mrs. Culpepper Mrs. J. W. Culpepper, of Fayetteville, one of the most beloved members of Georgia Division UDC, was signally honored at the recent convention in Waycross when her chapter presented a beautiful sterling silver vase to the Georgia Division, to be awarded annually, to the UDC Chapter doing the greatest work for the Children of the Confederacy. 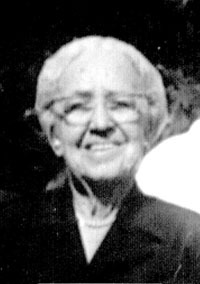 Mrs. Culpepper has attended many general conventions, but due to ill health she has not been able to attend since the Jackson, Miss., convention in 1946. She took part in Jackson, in the Grand March at the Children of the Confederacy Page's Ball, and has always stressed the great importance of C. of C. work, realizing that the children of today are daughters of tomorrow. Mrs. Hill Redwine, former President of the UDC Chapter at Fayetteville, and lifelong friend of Mrs. Culpepper, made the presentation of the "Sally Taylor Culpepper Vase," and paid loving tribute to this real Daughter of the Confederacy, who gave so many years of untiring work to her beloved organization. The cup was awarded this year to the Moultrie McNeil Chapter, Mrs. Hiller Gammage, President. Correspondence from Sarah Louise (Murphy) Mercer to Lew Griffin, say 1997. The following related article is from an unknown source: Roosevelt Pays Georgia Taxes Greenville, Ga., Jan 8 (AP)-- Franklin D. Roosevelt's Georgia farm tax was marked paid in full today. Tax Commissioner Homer Culpepper of Meriwether county said the President paid $331 on about 1,000 acres of improved farm land. In adjoining Harris county Tax Collector W. I. Hudson said Mr. Roosevelt paid $30.52 on 884 acres of unimproved property. "He is never delinquent," said Commissioner Culpepper. The chief executive paid his Harris county tax by personal check. Culpepper said the Meriwether payment was among several checks received from the Warm Springs foundation. The Meriwether payment represented levies on the little White House on Warm Springs and a farm nearby. Mr. and Mrs. Homer L. Culpepper also received an invitation to attend the marriage of Franklin D. Roosevelt's son, Elliott, which took place Saturday, 16 Jan 1932, at Bryn Mawr, PA.
Homer L. Culpepper wrote an article about fox hunting which appeared in an unknown paper: Fox Inspires Tale of Chase By Vet Hunter H. L. Culpepper Pays Tribute to Cunning of Favorite Red. GREENVILLE, Ga., Jan 17.--I have dedicated the story of this chase to Judge Samuel Atkinson, of the supreme court of Georgia. I do this because the judge loves hounds and hunting. The judge will not object to this because the race was pulled off by the type of hounds he especially admires. This type comes down from a strain developed and perpetuated by men whose names will live for all time not only in Meriwether county, but also throughout Georgia and the entire Southland. I refer to Major McCaslin, Captain "Boss" Woodward, Colonel Jim Sutton, J. 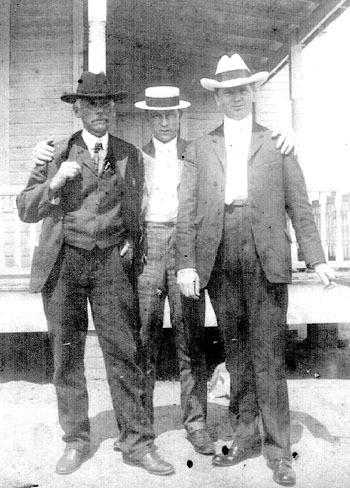 A. McKnight, "Fox Hunting" Henry Harris, and Charles A. Davis. These men were noted for their gentlemanly qualities at all times and on all occasions. They were cautious that their hounds should carry blood lines of their liking. They loved to tell that the hounds they owned came down from "Old Jeff Davis," Longstreet and the Birdsong strain. The hounds in this hunt have that same dash, speed, stamina and fox sense usually found in their noted ancestors. The race occurred recently where there is a wonderfully good running red fox well trained in the art of outwitting the hounds pursuing him. It is an enjoyment to observe his wits against the skill of the hounds. This particular fox had been chased so often that it was hard for the hounds to find him quickly. HOUNDS SCATTER On the hunt, which was at night, the hounds were scattered over a wide area, each trying to search the fox out. Finally one hound found him out and gave voice. He was soon joined by one, then another, until five were on the scent. In about 10 minutes they had him up and going. The going was fast. They ran east for one and a half miles, thence north for about a mile, passing through a little village along its main street, waking up many folks. Some of the villagers ran out into their yards and some on the porches to hear this grandest of all music, the voices of the hounds. The next day we hurried back for another chase. We were up the road west of the village and could hear excited voices commenting on the race. The fox was being so closely pressed that he had to leave the road, but came near the spot where we were waiting. He dodged around a small clump of timber and swung off to the south, making it back to his homeland, a 300-acre pasture. Here the part of the pack that had been making a search for him joined in with the original five. These five had been running him for 40 minutes. These fresh hounds added new life to the race. The fox now tried one of his famous tricks. He ran a circle several hundred yards around for five distinct trips, the purpose of which was to fill up the place with his scent so that he could spring off to one side and cause the hounds to make possibly one or two extra rounds while he was making his getaway. As it happened, one hound was running on the flank of the pack and found where he had make his spring out to get the lead he had planned. This surprised him. This flank running hound was so excited that he had no difficulty in swinging the pack in on the line of scent. There was nothing to do but for the fox to make a run for it. He pulled into a timbered section and went straight away, going southwest and on out of hearing. After 40 minutes he came back from a southeasterly direction and into the pasture again. This time he made several circles, hoping by doing so to get some advantage; however, the hounds were determined. They played with him. The notes ringing out from them then indicated "caught fox." His former experiences made him realize this. There was only one alternative, and that was for him to make for his burrow. This he did but barely so. This was a three-hour race and a fast one all the time. GREAT RUNNER. I have had the hounds after him in the daylight. They hole him in about half the time it takes at night. They have put him in places where he could easily have been gotten out, but never will I do this. He is such a fine runner and really seems to enjoy having the hounds chase him. Then, too, he appears to be glad to entertain folks because he often runs up close enough for you to see him. He is an unusually large fox, as big as an ordinary dog. Foxhunters know that the same class and type of race is not had every time a hunt is tried out. However, this was a race which you can rehearse over and over again. Here is hoping that all of my hunting friends have an occasional chase like this. The following is from a 7 Jun 1997 letter from Mrs. Wayne (Rosalind Johnson) Edmondson: I would like to mention about Uncle Homer Culpepper, Margaret and Eleanor's father; he was he closest thing to a grandfather that my sister, brother and I had since both my grandfathers died long before I came along. We lived in the George Green Culpepper house from 1946 until 1954 which was across the road from Uncle Homer and Aunt Dora. There was a long sandy walk way in front of their house and as children we would play in the sand looking for doodle bugs and such. Uncle Homer sat on the porch with his f ly swatter, killing flies and singing ditties and telling stories to us as we played. He was an avid fox hunter and had quite a reputation of raising fox hounds. One of my fondest memories that I am sure very few people of my age ever experienced was getting to go on one of the fox hunts one night. Uncle Homer had a farm with an old vacant farm house that had a working fireplace and had some hay stored in it. Mother built a fire in the fi replace and we bedded down on the hay pile while the men built a fire outside. We roasted hot dogs and marshmallows and drank Cokes and told ghost stories. Once the dogs were turned loose and began the chase, the men stood around the fire calling out the dogs names as they heard them running the fox. I'm sure it wouldn't sound so exciting to the kids today, but to an 8 year old in 1949 before TV and such, it was plenty exciting. Homer Culpepper suffered from prostate cancer. The following obituary is from an unknown source, possibly the Meriwether Vindicator Homer Culpepper, Lone Oak, Dies; Funeral Thursday HOGANSVILLE, June 6 -- Homer L. Culpepper, 79 member of a prominent Meriwether County family died at 6 p. m. yesterday at his home in Lone Oak following an illness of four weeks. Funeral services will be held at 3 p. m. tomorrow from the Allen- Lee Memorial Methodist Church in Lone Oak. The Rev. J. H. Couch, pastor of the First Methodist Church of Hampton, will officiate. Burial will be in the churchyard at Lone Oak. Pallbearers will be Warren Johnson, Pitts Culpepper, W. C. Culpepper, Jr., D. B. Murphy, Herbin Turner, Robert F. Herring, A. D. Herring and E. L. Prickett. The body will lie in state at the chapel of the Claude A. McKibben Funeral Home here until Thursday morning when it will be conveyed to the church at Lone Oak Mr. Culpepper is survived by his wife Mrs. Theodora Herring Culpepper of Lone Oak; two daughters, Mrs. A. M. Willingham and Miss Margaret Culpepper, both of Lone Oak; three brothers, Col. Nathan F. Culpepper of Greenville, J. W. Culpepper of Fayetteville and T.J. Culpepper of Atlanta; and a sister, Mrs. D. O. Phillips of College Park. Mr. Culpepper served as tax commissioner of Meriwether County for 28 years, retiring two years ago. Before holding this post, he was a well-known and beloved school teacher of Troup, Coweta and Meriwether counties, having also taught in Hogansville. His unselfishness and his interest in people and his ability to help others influence many lives in this section of Georgia. He was prominently identified with the social and civic life of Greenville, Lone Oak and of Meriwether County, Mr. Culpepper was the son of the late Ellen Nall Culpepper and Simeon F. Culpepper, pioneer settlers of Meriwether County. His father was clerk of the courts in Meriwether County for 25 years and also served as tax commissioner for that county for many years. Mr. Culpepper was born at Lone Oak and had spent most of his life there. He attended the State Normal College at Athens and Peabody College at Nashville, Tenn. He was preceded in death only eight weeks by his brother Edgar Culpepper. He was a Mason and a member of the Allen-Lee Memorial Methodist Church. Claude A. McKibben Funeral Home of Hogansville is in charge of arrangements. Another obituary appeared on Friday, June 15, 1951, in an unknown source: MR. H. L. CULPEPPER BELOVED MERIWETHER CITIZEN DIES AT HIS HOME Mr. H. L. Culpepper, 79, member of one of Meriwether County's prominent families died Tuesday afternoon at his home in Lone Oak. Funeral services were held at Lee Memorial Methodist Church at Lone Oak. Rev. J. H. Couch of Hampton conducted the sad final rites. Interment was in the church yard. The esteem and love of countless friends was evidenced by the numerous floral offerings. Claude A. McKibben Funeral Home was in charge of arrangements. Mr. Culpepper retired from his official duties two year ago. Earlier in his career, Mr. Culpepper was a beloved teacher of Troup, Coweta and Meriwether county. 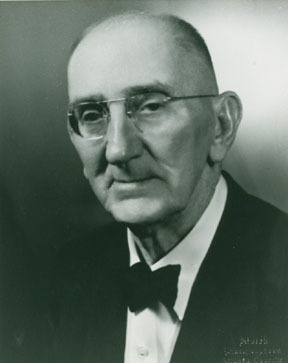 Mr. Culpepper was prominently identified with the social and civic live of Greenville, Lone Oak and of Meriwether county. The deceased was the son of the late Ellen Nall Culpepper and Simeon F. Culpepper pioneer citizens. His father was clerk of the courts in Meriwether county for 25 years and was Tax Commissioner for many years. 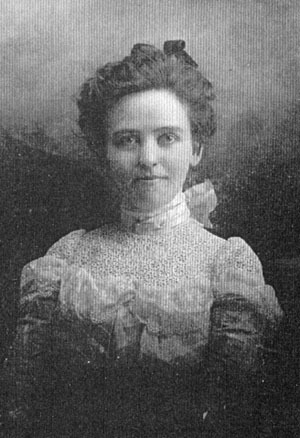 Mrs. Culpepper was born at Lone Oak, Nov. 3, 1871. He attended the State Normal College and Peabody College in Nashville, Tenn. Mr. Culpepper had been ill for four weeks, and was preceded in death by his brother only a few weeks ago. He was a Mason and a member of the Allen-Lee Memorial Methodist Church. Pallbearers were Warren Johnson, Pitts Culpepper, W. C. Culpepper, Jr., D. B. Murphy, Herbin Turner, Robert F. Herring, A. D. Herring, E. L. Prickett. Mr. Culpepper is survived by his wife, Mrs. Theodora Herring Culpepper, two daughters, Mrs. A. M. Willingham, and Miss Margaret Culpepper all of Lone Oak, three brothers, Col. N. F. Culpepper, Greenville, J. W. Culpepper, Fayetteville, T. J. Culpepper, Atlanta, a sister. 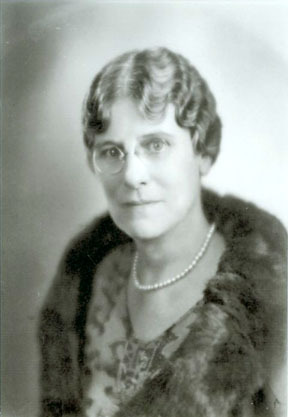 Mrs. D. O. Phillips, of College Park. For 28 years Mr. Culpepper served as the efficient Tax Commissioner of Meriwether County. Col. W. S. Allen, of Greenville, paid a tribute to Mr. Culpepper during the service and said in part: "I have known him in his official capacity as Tax Commissioner of our county during the Republican Administrations from 1921 to 1933. Trying years when our homes and lands were under mortgage, and our growing crops under lien. He stood as a rock in a weary land, between the taxing authorities and the people; and without regard to his own security or the security of his family he patiently and silently took the blame and criticism for uncollected taxes. His faith in people and his courage literally saved thousands of homes and farms in Meriwether County, and to this hour, his name is a benediction around the hearth stones in the homes of our people." The following appears to be a fuller version of the tribute given by Col. W. S. Allen on June 7, 1951. It was attributed to "Jack" Allen and was printed in an unknown source: TRIBUTE TO HON. CULPEPPER During a long and somewhat stormy life, I have been honored and blessed with the friendship of many loyal friends. Here lies one of the noblest of them all--Homer L. Culpepper. I have known him in his official capacity as Tax Commissioner of our County during the Republican Administrations from 1921 to 1933. Trying years when our homes and lands were under mortgage, and our growing crops under lien. He stood as a rock in a weary land, between the taxing authorities and the people, and without regard to his own security or the security of his family he patiently and silently took the blame and criticism for uncollected taxes. His faith in people and his courage literally saved thousands of homes and farms in Meriwether County, and to this hour, his name is a benediction around the hearth stone in the homes of our people. I have known him, best of all, as a faithful and loyal friend who never offered excuses or alibis, who never asked for a vacation or furlough, who gave his all to his friends without question, without stint, without omit, and with no thought of possible reward. Yes, I have known him, admired him, and loved him all these years, for all of these things, and I shall miss him and mourn him as long as my own life shall last, and I shall never again visit this little community, but what I shall find, myself longing for the touch of that vanished hand, and the sound of a voice that is still. Today we shall lay his body in the bosom of the soil he loved so well for its long rest, but we know that his Spirit has already taken up its residence in his Father's house, in that land where we never grow old. To me, Mr. Homer's love of nature and of his home are expressed in this old, old poem: When the grilling day is over and the sun is going down; when the shades of night are falling on the country and the town; when the whippoorwill is calling and the fox begins to roam; when the mocking bird is dozing--then I want to be at home. When the storm cloud's in the offing and the mighty thunders roll; when the lightening cleaves the heavens and the squirrel hunts his hole; when a sickening, inky blackness shades the azure dome; when the storm breaks in its fury--then I want to be at home. When the pink rosebuds are swinging so gently in the breeze and the glorious sun is shining on the warblers in the trees; when the air is perfume-laden and the summer days have come; when all nature seems ablooming--then I want to be at home. When the winter snows are drifting in the icy, cutting gale; when the winter wind is moaning a lonesome forlorn wail; with icicles on the barn roof like teeth in a mammoth comb; when the sparrows beg their breakfast then I want to be at home. When life is nearly over, when I cross(?) the great divide, listening to the ____ calling me from the other side; when the last great call is sounded and my final day has come there's one prayer that I would offer--then I want to be at home. Homer L. Culpepper, Head, M, Nov 1871, 28, Sng, GA/GA/GA, School Teacher. Biography* � Esther Theodora Herring was known as "Dora." Mrs. Eleanor Culpepper Willingham noted, in a 2 Jan 1986 letter, that "my mother always told me that 'procrastination is the thief of time.'" The following obituary is from an unknown source, possibly The Atlanta Constitution: Mrs. Culpepper, Meriwether Leader Dies Constitution State News Service HOGANSVILLE--Mrs. Homer L. Culpepper, 87, member of a pioneer Meriwether County family died Wednesday in a La Grange hospital. Mrs. Culpepper, who lived in the Lone Oak community, was active in the county's social, civic and political life. Her deceased husband served as Tax commissioner of Meriwether County for 28 years. She was a graduate of GSCW in the class of 1895 and formerly taught school in Newnan, Grantville and Columbus. Funeral services will be held at 2 p. m. Friday in Allen Lee Memorial Methodist Church, Lone Oak, with the Revs. George Davis and Harry Long officiating. Burial will be in the church cemetery with McKibben Funeral Home in charge. Surviving are two daughters, Miss Margaret Culpepper and Mrs. Albert Willingham, both of Lone Oak. Another obituary appeared in the Meriwether Vindicator on Friday 12 Jun 1959: Beloved Citizen Dies at Lone Oak On Wednesday, June 3, the Lone Oak community was saddened by the passing of Mrs. Homer L. Culpepper. As her tired spirit left her frail body she fell asleep "as one who wraps the drapery of his couch about him and lies down to pleasant dreams." Formerly Esther Theodora Herring, she was born April 2, 1872, in Coweta county. She was the daughter of the Late Louise Ellie [read Ellis] Herring and James Stokes Herring. Mrs. Culpepper attended Newnan public school and was graduated from GSCW at Milledgeville in the class of 1859 [read 1895]. She taught in the schools of Grantville, Newnan, Columbus, and Hogansville. On June 26, 1902, she married Homer Lee Culpepper of Lone Oak, and the remainder of her life was spent in this community. 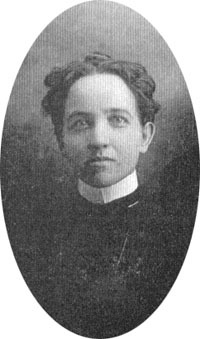 While she was a student at College she united with the Episcopal church where she was confirmed March 10, 1895. Although she never moved her membership from the Episcopal church, she took an active part in Allen-Lee Memorial church, and was a charter member of the Woman's Society of Christian Service, which was organized 50 years ago. She took an active part in the civic and social life of the community, and through her keen mind was able to render a great service to her fellow man. Being a lover of poetry and the finer things of life, she enriched the lives of others. It may be said "She looked well to the ways of her household and her children rise up and call her blessed." Mrs. Culpepper was the local correspondent for the Newnan Times-Herald since 1917. She was identified with the civic and political life of Meriwether county, as her late husband was tax commissioner of the county for 28 years Funeral services were held at Allen-Lee Memorial Church on June 5, conducted by the Rev. George Davis of Hogansville, a former pastor here, assisted by the Rev. Riley Middleton, pastor of Allen-Lee Memorial church. McKibben Funeral Home, of Hogansville was in charge of arrangements. The church was filled by loving friends and relatives. 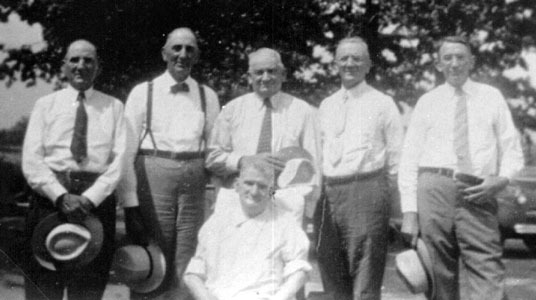 The flower laden casket was borne to its resting place beside her husband by nephews: Robert F. Herring of Newnan, Albert D. Herring and Harvey C. Cutts of Greenville; George W. Johnson of Hogansville; Norman Gray of Carrollton; and William P. Lee, Jr., and Roswell W. Lee of Lone Oak. Biography* � Mrs. Eleanor Culpepper Willingham wrote in a 13 Jul 1984 letter, that she had "a little book on correct forms of English which he [Simeon F. Culpepper] gave to his son, Edgar for making the most 'headrounds' on Sept 2, 1887 on Geography. Edgar suffered from rheumatoid arthritis. 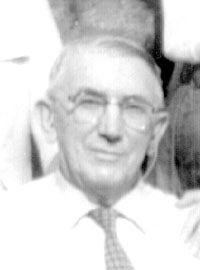 A brother, Thomas J. Culpepper, at a family gathering 3 Aug 1969 said of Edgar C. Culpepper: He was a victim of arthritis, which started on him before he was 30 years old and before he was 40 he was completely helpless. His wife, Ida looked after him, like he was a baby.... We all went to see him often as possible and rallied around to see that he did not suffer for any of the necessities. He was the most cheerful person I ever saw and had a wonderful sense of humor. He enjoyed all the ridiculous and funny things that happened to people and everybody in Lone Oak saw that he was told about them. According to Mrs. Eleanor Culpepper Willingham, Edgar "was always cheerful, never complaining and always having some witty remark to fit the occasion." She also wrote that his nickname was "Yike" and added "none of us knows how this came about." The following death notice is from the Hogansville Herald Thursday, 19 Apr 1951: LONE OAK Funeral services for Mr. Edgar C. Culpepper were held at Allen-Lee Memorial Church at Lone Oak on Thursday, April 12, with his pastor, the Rev. Charles Hamilton, officiating, assisted by Rev. Osborn Belyeu, who paid loving tribute to his life and character. Mr. Culpepper was a life-long citizen of Lone Oak, a member of the Methodist Church, a Mason and a valued member of the community. He was seventy-seven years old and had been an invalid for nearly forty years. In spite of his sufferings, he was bright and cheerful, interested in all public affairs, and was lovingly ministered to by his devoted companion. 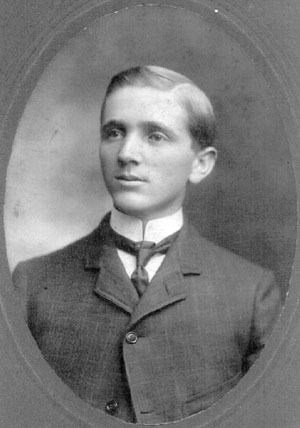 + Edgar C. Culpepper, 7 Mar 1874 – 10 Apr 1951. Edgar C. Culpepper and Miss Ida White on 5 Feb 1899 in Meriwether Co., GA, Book G-338. Ada L. Culpepper, Wife, F, Feb 1878, 22, md 1 yr, ch 0/0, GA/GA/GA. Ida Culpepper, Wife, F, 32, md1-11 yrs, GA/GA/GA. Ida W. Culpepper, Wife, F, 41, md, GA/GA/GA. Ida White Culpepper, Wife, F, 52, M, md @ 21, GA/GA/GA. Edgar C. Culpepper, d. 10 Apr 1951 at 77 years in Meriwether Co., GA; Res. in Meriwether Co., GA. Biography* � A brother-in-law, Thomas J. Culpepper, at a 3 Aug 1969 gathering of the Simeon F. Culpepper family noted that Ida had cared for her husband, Edgar C. Culpepper, who was disabled by arthritis and added "I have never understood how she stood the physical strain which she did for 40 years. Although Edgar an Ida had no children, an unknown source noted: The nieces and nephews will always remember the childhood visits they made to stay a few days with Edgar and Ida, who were always so devoted to the children. They all thought that Aunt Ida's cooking was magic. Mrs. Eleanor Culpepper Willingham added in "The Sim Culpepper Boys": She [Ida] was a wonderful character and a devoted wife. The children loved her white caramel cake with a pink layer. When Uncle Tom came to visit, one of his boys was hardly out of the car before he would say "Aunt Ida I'm hungry." He knew the favorite cake would be waiting for him. The Wesley Culpepper family gave Edgar and Ida a little dog called Rick. An unknown source noted that "the little dog idolized Ida, Edgar's wife. As Edgar could not walk, Rick followed Ida everywhere...."
+ Ida White Culpepper, 4 Feb 1878 – 24 Sep 1966. Ida W. Culpepper, d. 24 Sep 1966 at 88 years in Heard Co., GA; Res. 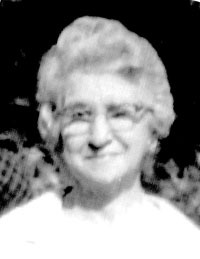 in Meriwether Co., GA.
Carrie Lou Culpepper, Wife, F, 21, md1-1 yrs, GA/GA/GA. Biography* � In a 26 Apr 1977 letter, Mrs. Eleanor Culpepper Willingham wrote "I went to the home of my aunt Carrie Lou Culpepper yesterday and copied g.g. father George W. Culpepper's Bible record. She is the widow of our father's brother, Wilbur, and he had the Bible used by George W. The record is very complete." The following appeared in the 23 Sep 1979 Bulletin of the Greenville Methodist Church, Greenville GA: "MISS" CARRIE LOU Today, we are honoring a very special lady. She is known to some as "T", to others as "Cud'n" Carrie Lou, and to the rest of us as "Miss" Carrie Lou. "Miss" Carrie Lou was born on May 24, 1888, about six miles West of Greenville near the thriving little community of Odessadale, Georgia. 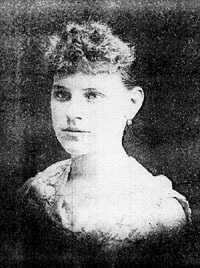 She was the fifth child of Thomas B. and Imogene Pitts Tigner. When "Miss" Carrie Lou was two years old, her mother died. Her father later married Miss Helen Owen of Waverly Hall, whom she grew to love very much. After attending grammar school and high school in Durand (then Stinson) and Woodbury, she attended LaGrange Female Academy, which is now LaGrange College. When "Miss" Carrie Lou was twenty years old, she became the bride of Mr. Wilbur C. Culpepper, a prominent and progressive young business man from Greenville. The wedding took place at 'Spring Hill', the country home of the bride's parents, on Wednesday afternoon, February 10, 1909. Mr. Wilbur brought his lovely bride home to Greenville, and for this we have much to be thankful. After transferring her membership from Old Trinity, "Miss" Carrle Lou and Mr. Wilbur served as faithful members of the Greenville United Methodist Church. No dinner on the ground was ever complete without Mr. Wilbur's careful provision. At the time of their marriage, Mr. Culpepper owned the General Merchandise Store. For some years, he was associated with the State Highway Department and later acted as Manager of the Greenville Warehouse and Oil Mill. Mr. Wilbur and "Miss" Carrie Lou had two sons, Louis Pitts and Wilbur Clay, Jr. Mr. Wilbur died in October, 1943. "Miss" Carrie Lou is well-known in Meriwether County. In years past, she worked for her father-in-law, Mr. S. F. Culpepper, when he was the Clerk of the Court. She also worked for the Extension Service, and for many years assisted Mrs. Estelle Perkerson in the Tax Commissioners Office. Always known for her gentle, loving nature, "Miss" Carrie Lou has touched the hearts of many people. With unfaltering faith in her personal Savior, Jesus Christ, she has gone about doing good and truly loving her fellow man. Her years have been filled with faithful service to the Church. At Ninety-one, unable to hear well or walk well, she still feels her place is in God's house on Sunday. There are many ways to witness, but example often proves the best. "Miss" Carrie Lou's steadfast faith and strong convictions throughout her life have given to many a deeper knowledge of true Christian love. May God continue to bless you, "Miss" Carrie Lou, for all those you have touched. + Mary Lou Culpepper, 8 Feb 1879 – 15 Sep 1949. 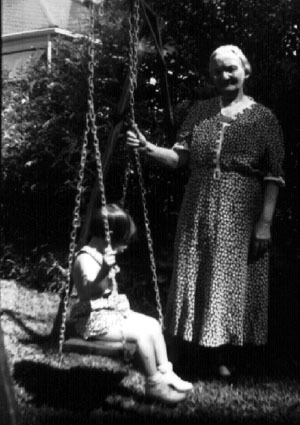 Nettie P. Culpepper, Daughter, F, 26, Sng, GA/GA/GA. Mary Lou Culpepper, Daughter, F, 40, Sng, GA/GA/GA. 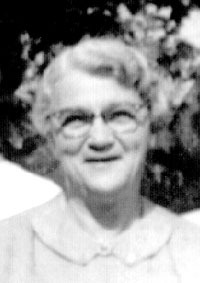 Mary L. Culpepper, d. 15 Sep 1949 at 70 years in Fulton Co., GA; Res. in Meriwether Co., GA.
Also, I knew Dr. Thomas J. Culpepper (Male 34979) Druggist in Grantville, GA. In a small town the physicians and druggist are like members of the family. His drug shop had an up to date soda fountain, or should I say , “Coca Cola Fountain”. I have been scouting around for some photos of the drug shop. If I run across any I will share. My dad and a select group of locals would meet in a back room at the drug store every morning and roll dice or draw high cards to see who paid for the cokes that day.